Pine, Pine, and more Pine, If I am lucky I may get a few random hardwoods in there as well. Just being me, But it is ok you do not have to like me. White oak and more SYP, and then who knows? And a Very Happy New Year! Right now I've got about 35000 bd. ft. of Ponderosa Pine, White Fir, Douglas Fir, and Western White Pine decked up and waiting. There's another 20,000 waiting to be hauled, and a couple of decent thinning jobs on the books that will produce some more of the same. Now if I can just make it profitable. I have a bunch of oak, maple, and elm waiting to be slabbed. I need the ground to freeze up and get a covering of snow before I can move those big ones (4'+ on the small end). 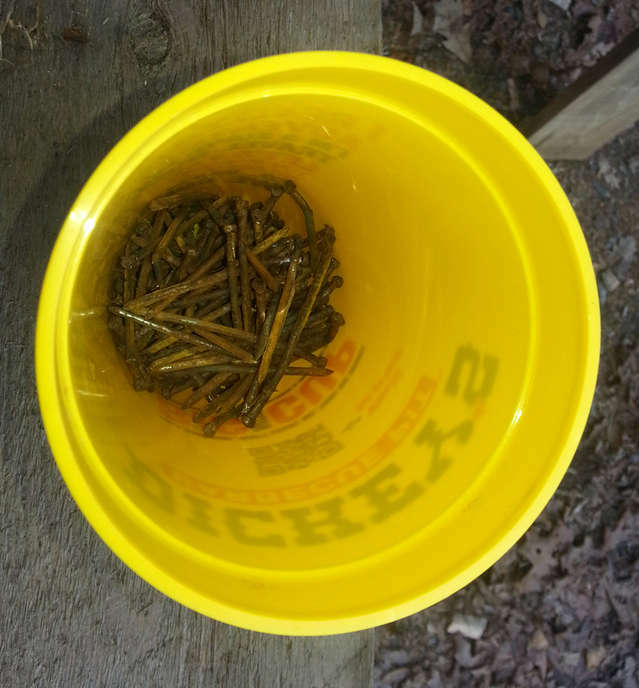 Theyre at least a couple tons so there is no picking them up with a skid loader. The walnut slabs (minus the 15+ nails I pulled out) will be picked up after Christmas. From left to right, maple, ash, and white oak, all around 3' on the small end. High and dry in the barn, out of the mud. Soon to be 3" slabs. Got this log this afternoon...The truck just left. New Milling area for the winter. Tree Dan that is a great way to bring the outside in. I like the expanse. I'm pretty sure that would cover my whole yard without even having to trim the pine trees. Learning......come a long way in 1 year. I have about 25 acres of these kinda logs to cut and saw. Got Lucky. 99 timberking b-20. John deere 450c loader. 79 Chevy c-60 95 GMC 2500, Craftsman tablesaw, Dewalt 735 13" planer, stihl ms-290 Stihl 029, Husqvarna 394xp, dewalt router & table, various sanders/hand tools. Those are much better logs than my customer brought to me to saw. I see very little evidence of pith rot. I have plans for persimmon, beech, and holly. I'm working on a keg of persimmon beer.Yuck nasty stuff. ERC is non existent here. Wow Strunk, I am jealous. I have 14 MBF of Hemlock bought on the stump but the loggers here are top busy to help me out. I may have to become a logger in the spring and am not looking forward to it. These trees will take me thru June, and I have some logs on the horizon. Dave: Yes I sold that Keener Built, It flew south a couple weeks ago. Waiting on the bank to tell me if I can go Orange. 2015 will be the year of tulip as I try to fall and saw the many stems standing dead due to the last two droughts and the tulip scale outbreak. A lot of it will end up as paneling in my barn addition. There is also the many ash trees that are currently healthy but probably will succumb to the borer in the next few years. Of course there are always the occasional white and red oaks, hard and soft maples, beech, sassafrass and hickories. I do have a nice persimmon that I hope to saw up. It was girdled a couple of years ago but appears to be holding up fairly well. Did I mention the pile of cherry logs a customer left me a year or so ago and never got back in touch? Hope to find out if the wood has spalted and is still viable. I hope to finish a job of sawing some salvage timbers before next year get here. But I'm not sure how it's going to go. 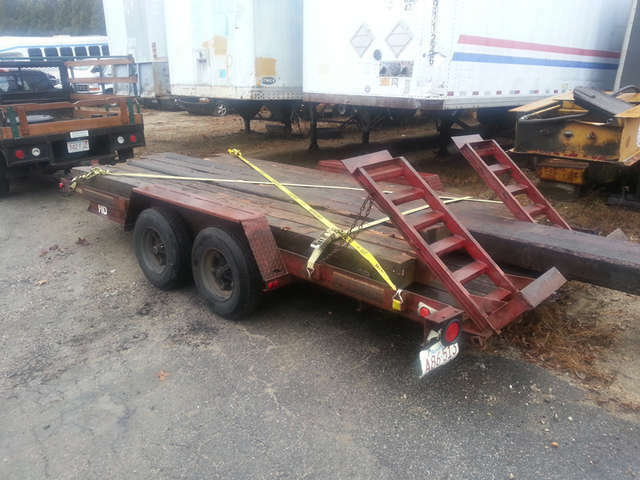 I traveled with a friend and his truck and trailer to the salvage yard on Wednesday. 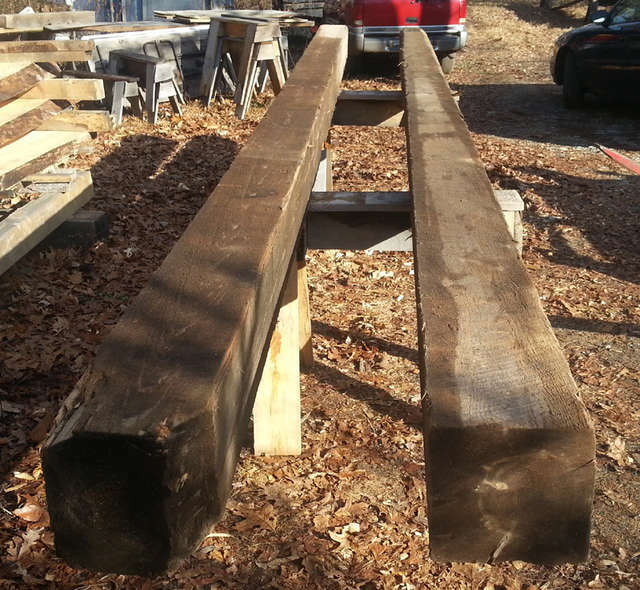 We picked up nine nice long timbers to be re-sawn to 6x6 timbers. The customer wanted something he could stain right away. He didn't want to wait for fresh green timbers to dry enough to accept stain. I had to get two large over-sized timbers to fill the order. I was lucky and I thought this job will be sweet with no nails to pull. I went to the pile and got three more 7x7x12 timbers. That cup is almost full now from doing three 7x7x12 timbers.